Las Vegas, Nevada is coined “Entertainment Capital of the World”. With its famous mega casinos-hotels and activities, it is a top three destination in the United States for business conventions. Las Vegas is a global leader in the hospitality industry. Claiming more AAA Five Diamond hotels than any other city in the world. Las Vegas team building means the entertainment never stops. Neither does the opportunity to strengthen your team with quality activities facilitated by Best Corporate Events. The sheer number of high-end convention facilities alone make this city an ideal choice for your next group meeting. Not to mention the amenities everyone can enjoy during downtime. Our professional facilitators will make sure your Las Vegas meeting is an experience to remember. 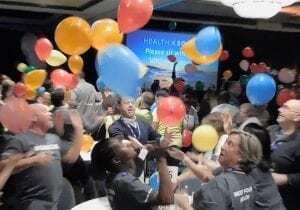 Whether it's our pulse-pounding Mystery of DaVinci SmartHunt®, or an uplifting Build-a-Wheelchair® event, your group will never forget how much fun they had. The best way to discover Vegas’ top attractions is with a City SmartHunt®. 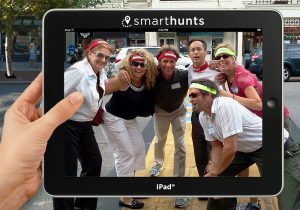 The City SmartHunt® explores the many sites of Las Vegas with a scavenger hunt app on Apple iPads we provide. 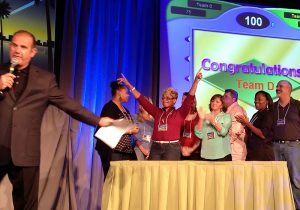 Get your team thinking and communicating with Competition to Collaboration or Igniting Team Performance™ events. 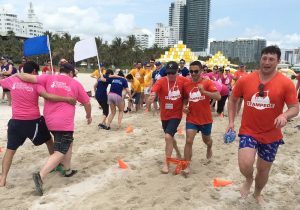 We offer more than 50 fun, innovative and exciting team building activities designed to facilitate deeper bonds and better communication between your team members. Best Corporate Events specializes in impactful and effective team building. On February 7, 2018, we delivered the largest bike build in history! 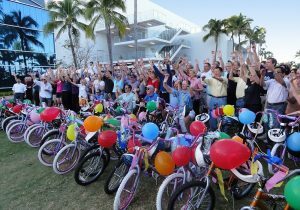 3,500 Lowe’s managers built and donated 1,058 bicycles at the Sands Expo and Convention Center. At the conclusion of the event, the bikes were donated to local Boys and Girls Clubs to help less fortunate children in Nevada. Las Vegas annually ranks as one of the world's most visited meeting destinations. Best Corporate Events is sure to deliver a memorable experience for your company they will never forget. The best thing about our events is the ability to tailor activities to your own group’s needs, but sometimes you need some inspiration. 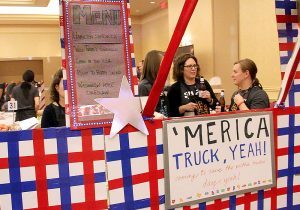 When it comes to corporate meetings, we have delivered the most fun and successful team building activities in Las Vegas. It is our mission and our passion, to build teamwork and you will not regret hiring us for your next corporate retreat in Las Vegas. Viva Las Vegas! We take pride in offering the best team building solutions with results our clients love. That’s why we have a 5 Star rating and some of the best reviews in the business. 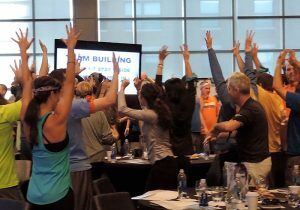 Check out over 1,000 client comments and videos on our program pages assuring you have found the BEST team building company to deliver corporate events to your team.